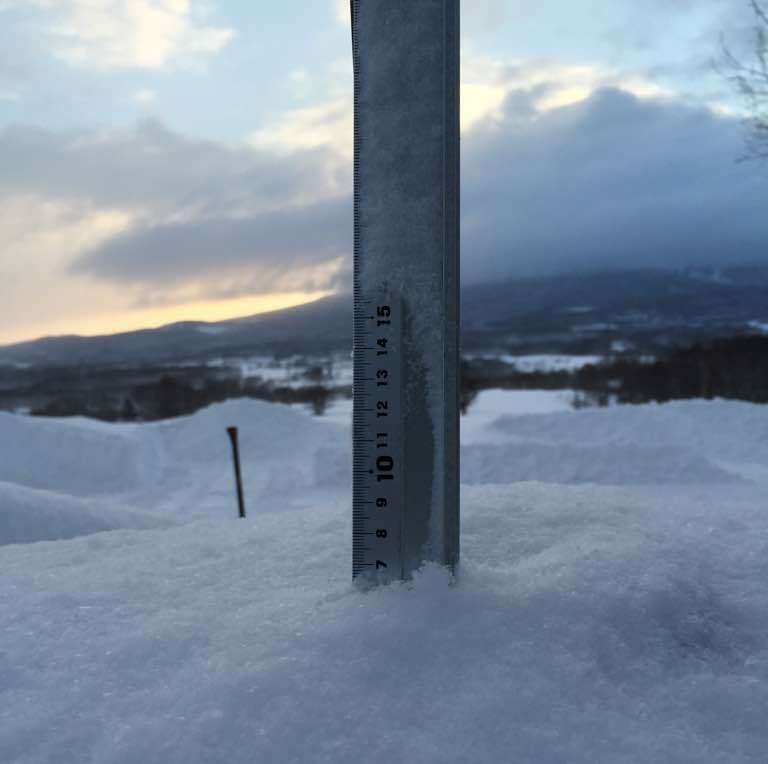 *6cm of fresh snow has fallen in the last 24hrs just outside of Hirafu Village. At 7:30 today the temperature was -9°C. Another storm yesterday and last night has dropped a lot more than 6cm as the ruler states. Sky is looking clear at the moment and the temperature is remaining low. All this adds up to an epic powder day. Make sure you stay warm and have fun.